Situated in 20 acres of private grounds within the Chiltern Hills, Lodge Farm Bed & Breakfast is just 3 miles from the historic market town of Hitchin..
Tewin Bury Farm Hotel offers accommodation in Tewin. Guests can enjoy the on-site bar. 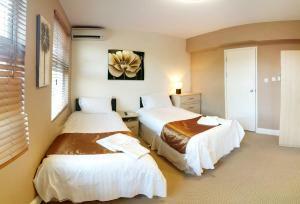 The rooms come with a flat-screen TV. 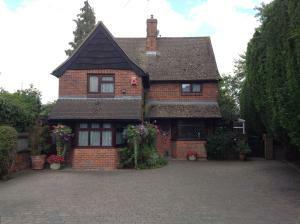 You will find a kettle i..
Bradwell Common Guesthouse is located in Milton Keynes, 2.9 km from National Bowl. The rooms come with a flat-screen TV. You will find a kettle in th..
A 10-minute walk from the centre of Great Missenden is the Nag’s Head Hotel, a 4-star 15th century inn. Guests can enjoy contemporary styled interio..
With free private parking and free Wi-Fi access, Macy’s Hotel is just 5 minutes’ walk from Chingford Rail Station. 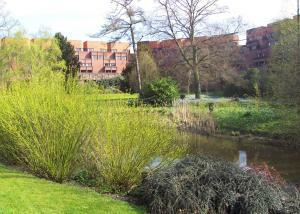 The air-conditioned rooms incl..
Just over 10 minutes' walk from the picturesque city centre of Cambridge, Robinson College offers accommodation within the Cambridge University campus..
Cornfields is a Grade II listed building set amongst rural Bedfordshire. 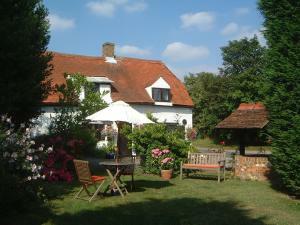 The main building, a former village inn, dates back to the 17th Century and r.. 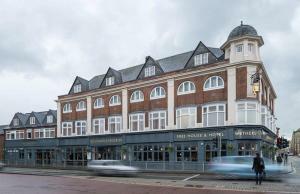 Featuring free WiFi and a restaurant, Pilgrims Progress offers accommodation in Bedford. Guests can enjoy the on-site bar. Each room is fitted with a.. 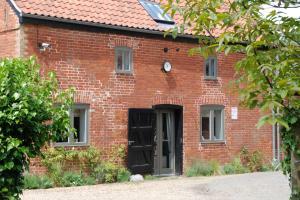 These converted barns date back to the 1840s, and offer self-catering apartment accommodation with free Wi-Fi throughout. An award-winning golf club i.. 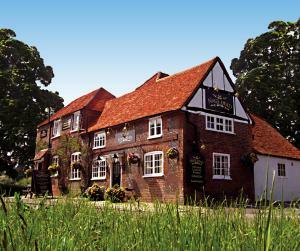 Featuring free WiFi, The Queen Hotel offers accommodation in Olney, 14 km from Milton Keynes. Free private parking is available on site. Every room i..
Holiday Inn London Watford Junction has a central location just 2 minutes’ walk from Watford Junction Railway Station and 10 minute's walk from the ..
A 30-minute drive from the world-famous Silverstone Race Circuit, this self-contained apartment is only 2 miles from central Milton Keynes. 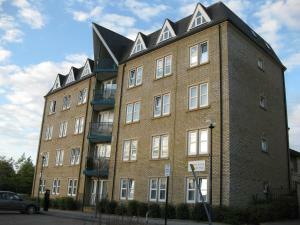 It has fre..
Watford Serviced Apartments is located 10 minutes’ walk from Watford Junction Overground and Rail Station and the town centre. This luxury serviced,.. 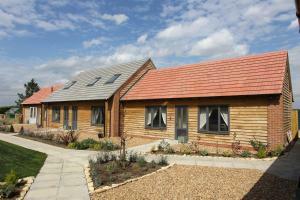 In the Buckinghamshire countryside, Elm Tree Farm offers a range of self-catering accommodation around 7 miles from Milton Keynes. On-site facilities .. 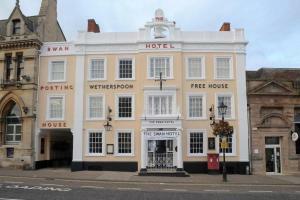 Featuring free WiFi and a restaurant, The Swan Hotel offers accommodation in Leighton Buzzard. Guests can enjoy the on-site bar. 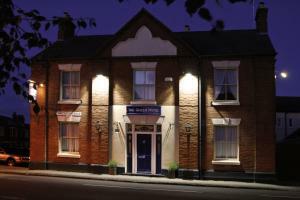 Each room has a flat..
A country pub dating back to 1790, The Green Man Stanford offers bed and breakfast in Bedfordshire, around 35 minutes’ drive from Luton Airport. Les..